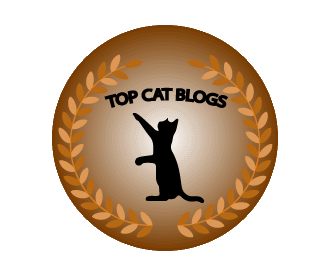 I want to first thank Janet Blue from The Cat on my Head blog for honoring Bad Cat Chris with The WordPress Family Award. It is the third time Chris was honored recently and I am very happy to be part of such a wonderful family of pet bloggers. Today I want to talk about ginger cats. I refer to Chris, and cats like him, as gold cats but Ginger seems to be the most popular term. They are also refered to as orange, buff and probably a few others. The common belief is that ginger cats have a good temperament and are more friendly and outgoing than the average cat. Indeed, Chris is a very friendly cat and our other ginger cat, Tigger, was also very friendly. I first heard of this belief back in 2006 when Rose and I started our short jaunt into the world of real estate. Our brokers had five or six cats which were all gold. They told us the gold cats had a friendlier personality. That was not long after we got Tigger so we assumed the theory to be correct. But is it? I looked it up and found it to be a very common belief. A few people even commented on this blog saying that their cat looks just like Chris and behaves like him too. I did not, however, find any solid evidence to support that fur color has any impact on personality. Black cats, for example, are thought of as being unlucky or mysterious but any black cat owner, myself included, will probably say that black cats are just like any other cat. White cats are considered to be aloof or uncaring, but again, I have seen enough white cats to know that is not true. I believe the concept that fur color affects behavior to be a myth but there is a possible valid explanation for why ginger cats are friendlier than average. This lies in the fact that 80 percent of ginger cats are males which tend to be friendlier than female cats. Sorry ladies. This is not always true, of course. We had a male cat, Sneakers, that was somewhat of a loner and didn’t care about other cats. He would also bite and hiss when he was done with being petted. We also had a shy but friendly female, Abbey, who was friendly to everyone but our other female cat, Princess. Princess, however, hated all cats and only wanted attention from humans. 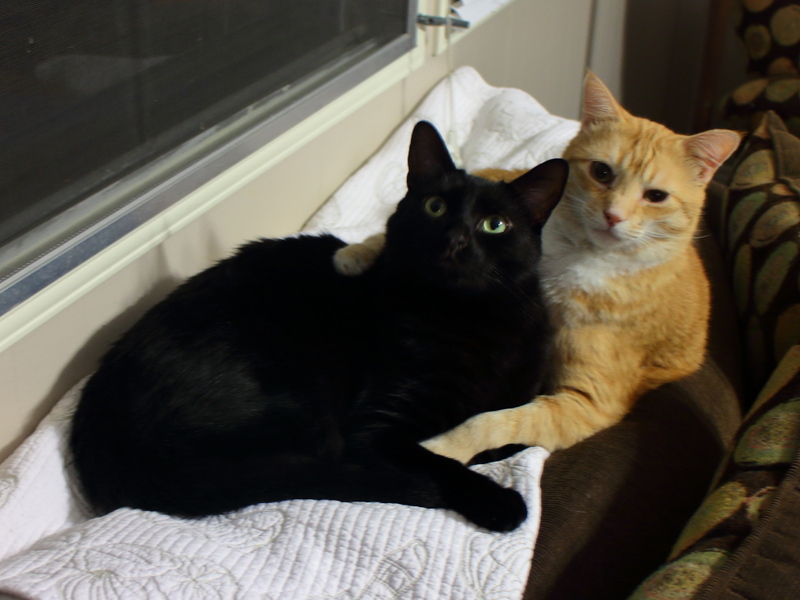 Every cat is different and it is difficult to label them but I think, on average, males tend to get along better with other cats and because ginger cats are mostly males, this would correlate the perception that they are friendlier. What do you think? Do you have a ginger cat that is friendlier than average? 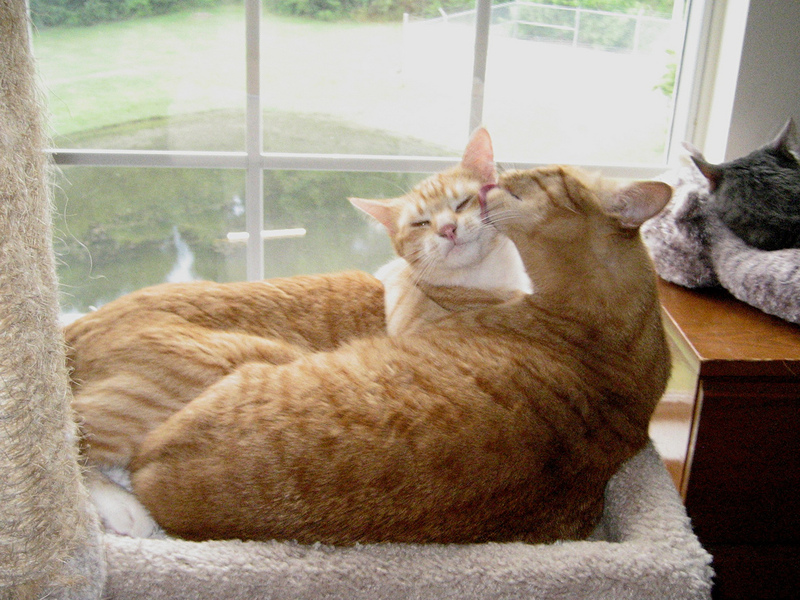 This entry was posted in Uncategorized and tagged female cats, friendly, fur color, ginger cat, gold cat, orange tabby, white cats on August 9, 2013 by Charles Huss.